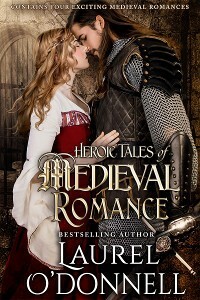 For this week’s Medieval Romance Monday, we are featuring Medieval Knights and Damsels — a great new boxed set from 4 Amazon best-selling medieval romance authors. 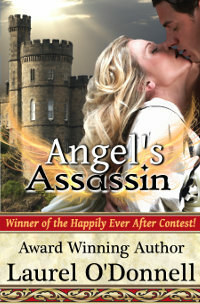 This exciting boxed set includes four full length novels! 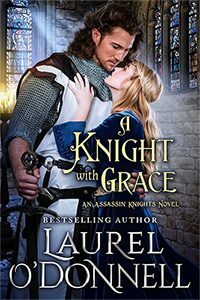 Taylor Sullivan flees the tragic flames that destroyed her family by arming herself with a quick sword and a sharp tongue, hiring herself out as a mercenary. 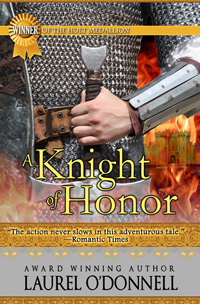 He is Slane Donovan, a knight of honor, sworn to uphold his oath and his word. He seeks the woman who wears the Sullivan ring, determined to bring her back to Castle Donovan to fulfill a promise made to his brother. There are others who seek the Sullivan woman as well, men who pose a far greater threat. 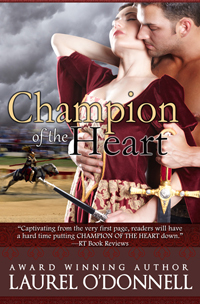 Slane must protect his fiery mercenary companion from attacks, but can he protect himself from her undeniable charms? 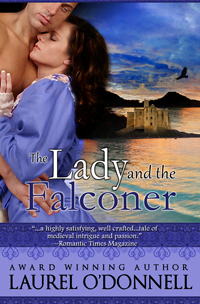 Lady Leona Ransley arranges a clandestine meeting to return a stolen ruby pendant. 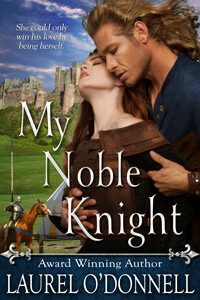 Aldwin Treynarde, determined to attain knighthood, senses the lady keeps valuable secrets and takes her captive. 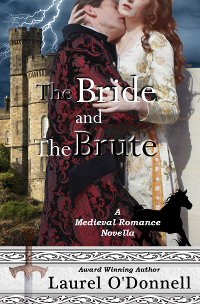 Will their past enmity stand in the way of duty and true love? Sometimes, even though it is written in the stars, the road to true love can be a rocky one. And so it was with Bronwyn, the feisty daughter of the Lord and High Chief of the Clan MacCollum and the handsome English Knight, Sir Andrew Brandham. 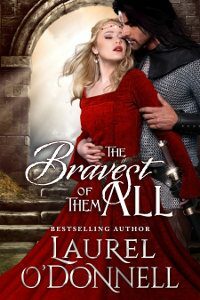 Can they set aside old hatreds and distrust and follow the course that Destiny has set them upon or will their blossoming love be dashed upon the rocks by the tempest that rages around them? What if the myths and legends were once real? What if gods and demons really walked among us, and the heir to Arthur was one of them? Set in 7th century Wales, The Last Pendragon is the story of Arthur’s heir, Cadwaladr ap Cadwallon (Cade), and his love, Rhiann, the daughter of the man who killed Cade’s father and usurped his throne. 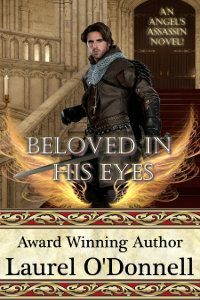 Born to rule, yet without a kingdom, Cade must grasp the reins of his own destiny to become both Christian king and pagan hero. And Rhiann must decide how much she is willing to risk to follow her heart. RIA CANTRELL grew up in the suburbs of Long Island. She has enjoyed exciting endeavors in the past including figure skating and singing as a classically trained vocalist. With a love for history, Ria found herself drawn to participate with re-enactment groups that re-created the Middle Ages. 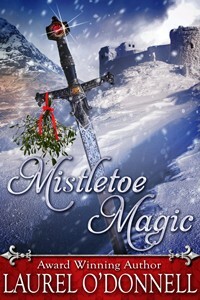 Since fostering her love of all things medieval, Ria’s stories soon became flavored with Medieval , Scottish Highlander, Celtic and Renaissance themes. Ria now lives in Southwest Florida with her English rock-star husband. The two share their love for music and writing. They perform together locally and they collaborate on writing endeavors. With two historian parents, SARAH WOODBURY couldn’t help but develop an interest in the past. She went on to get more than enough education herself (in anthropology) and began writing fiction when the stories in her head overflowed and demanded she let them out. While her ancestry is Welsh, she only visited Wales for the first time while in college. She has been in love with the country, language, and people ever since. She even convinced her husband to give all four of their children Welsh names. She makes her home in Oregon.